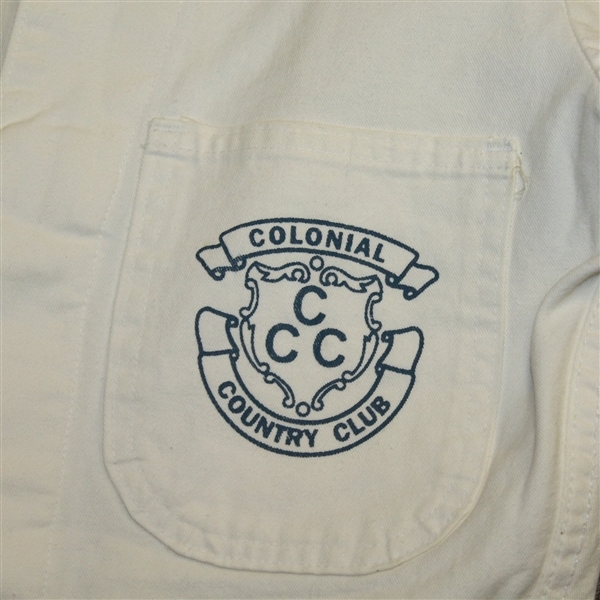 Offered here is a caddie suit that has been attributed to Ben Hogan's caddie at Colonial Country Club in the 1970's/1980's. 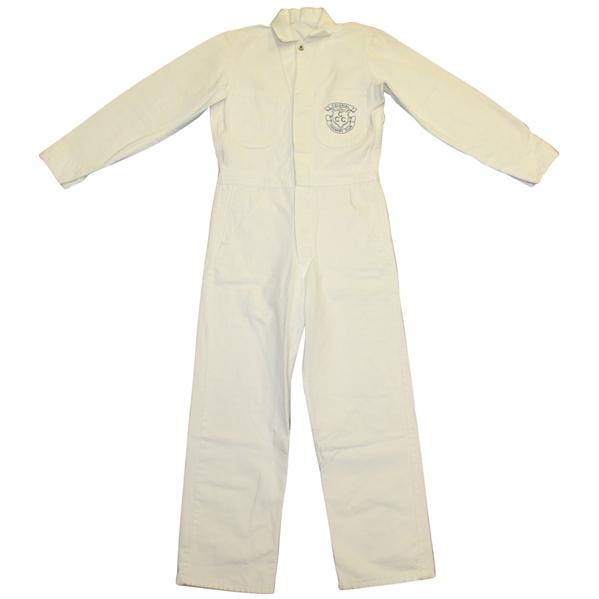 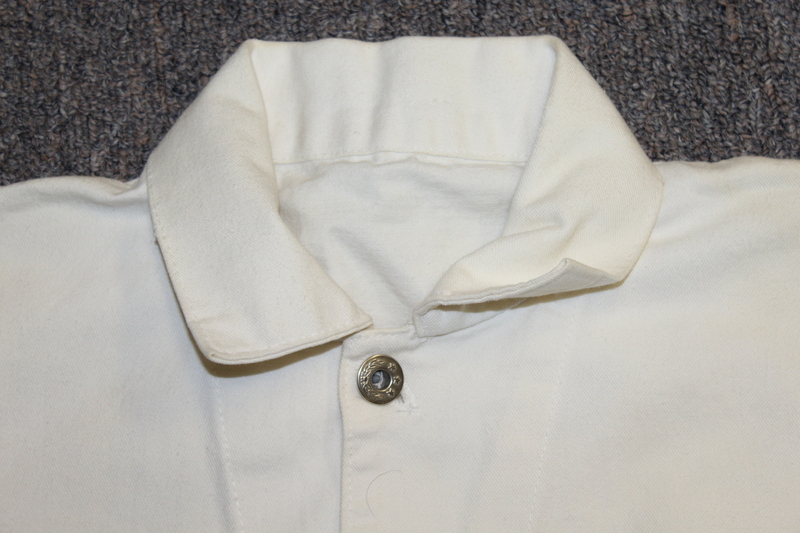 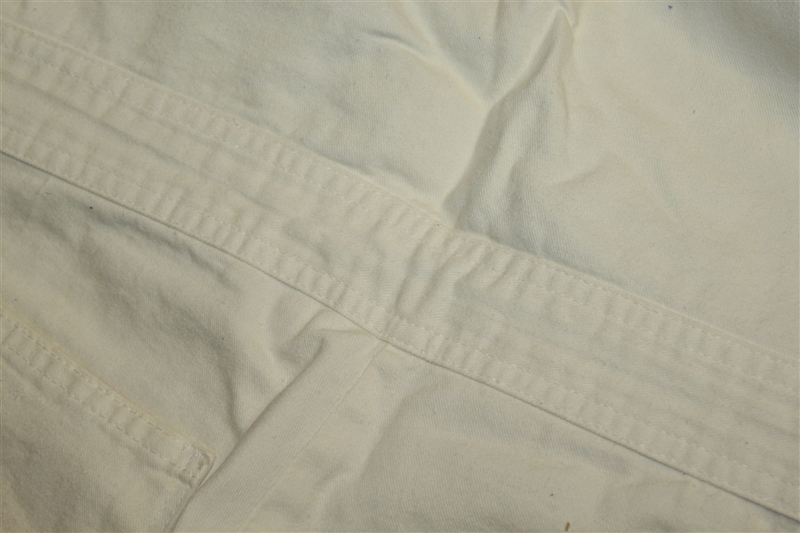 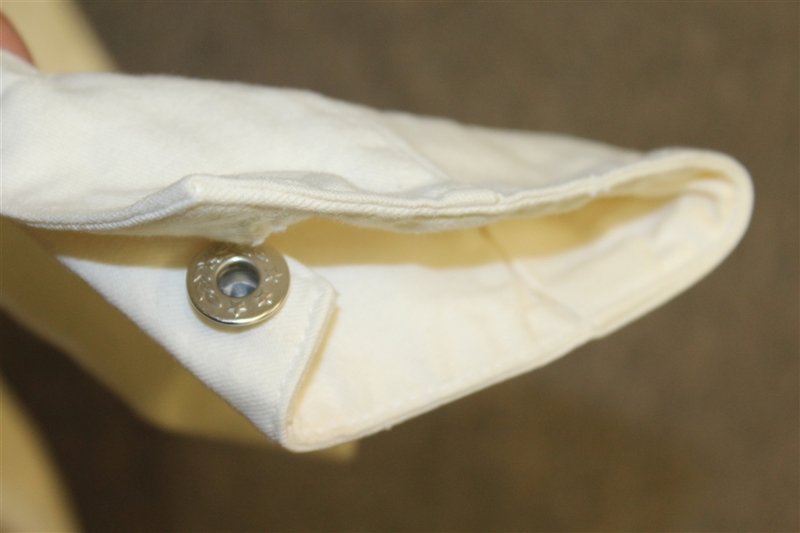 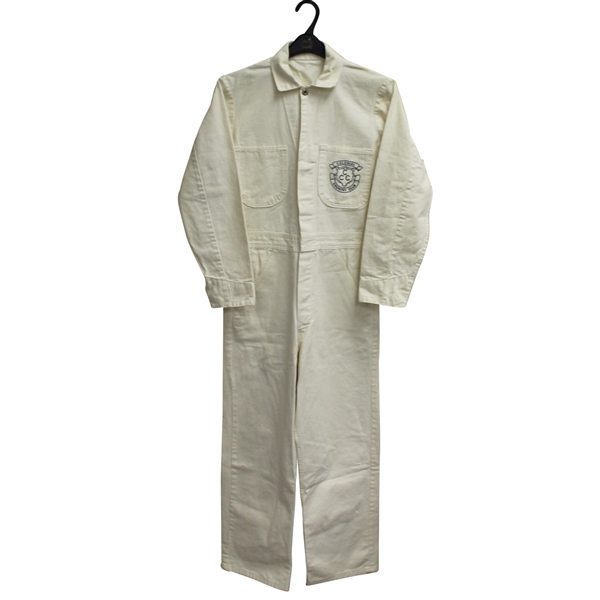 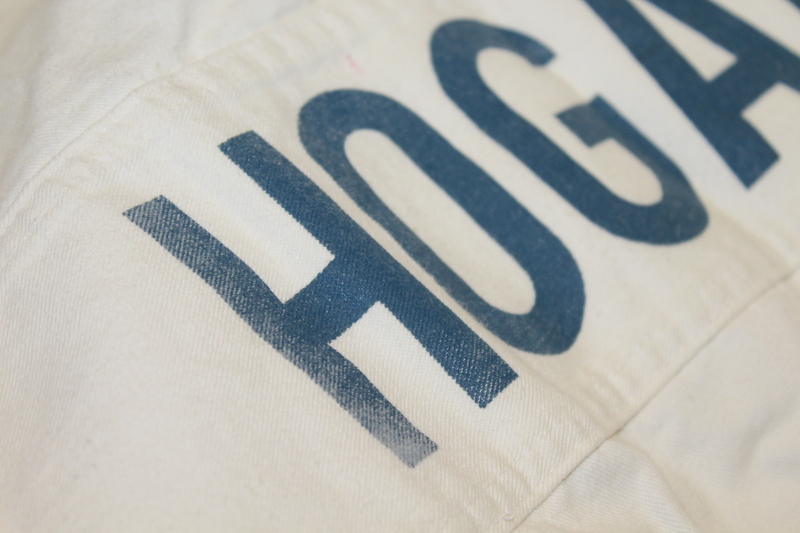 The white caddie suit comes in great condition with the blue Colonial CC logo on the front chest pocket and Hogan's name on the back, the logo was used during that time period. 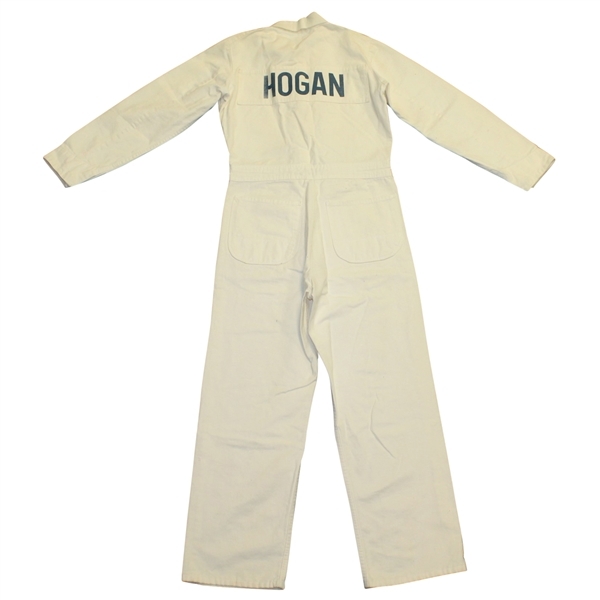 We are unable to confirm if this suit was generated or used for a tournament, promotional event, for Hogan himself, or for display purposes. 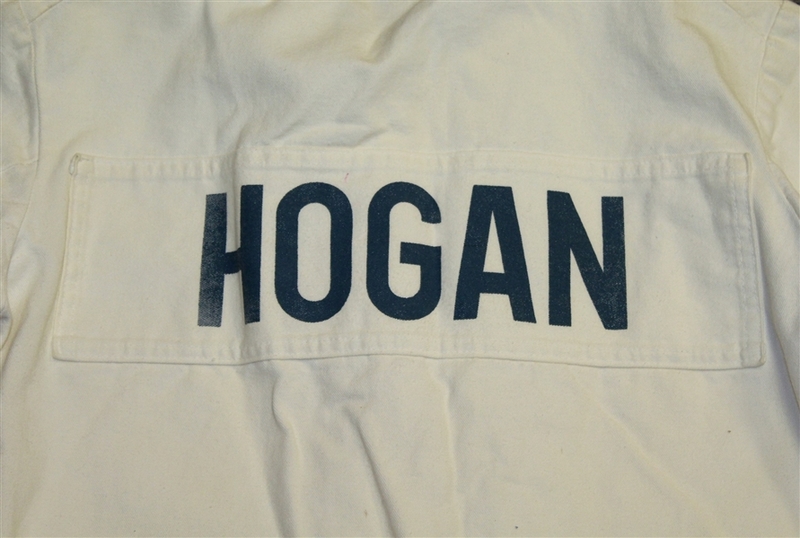 There is slight fading to the "H" in Hogan, please see photographs. 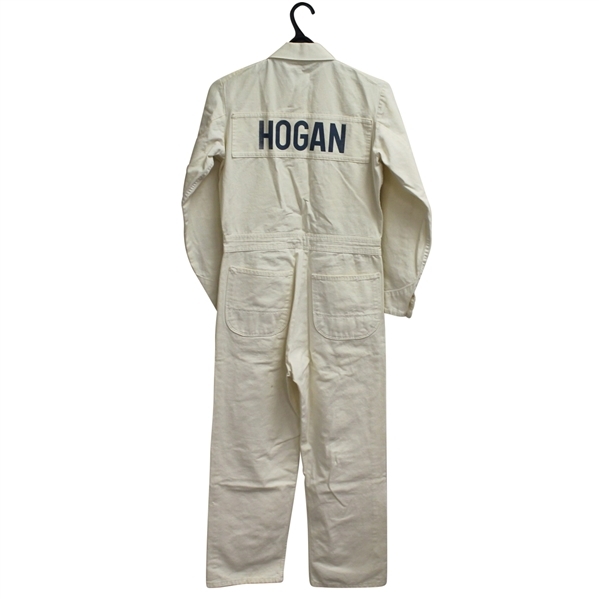 Colonial Country Club was lovingly nicknamed "Hogan's Alley," given the fact that Hogan was so successful there. 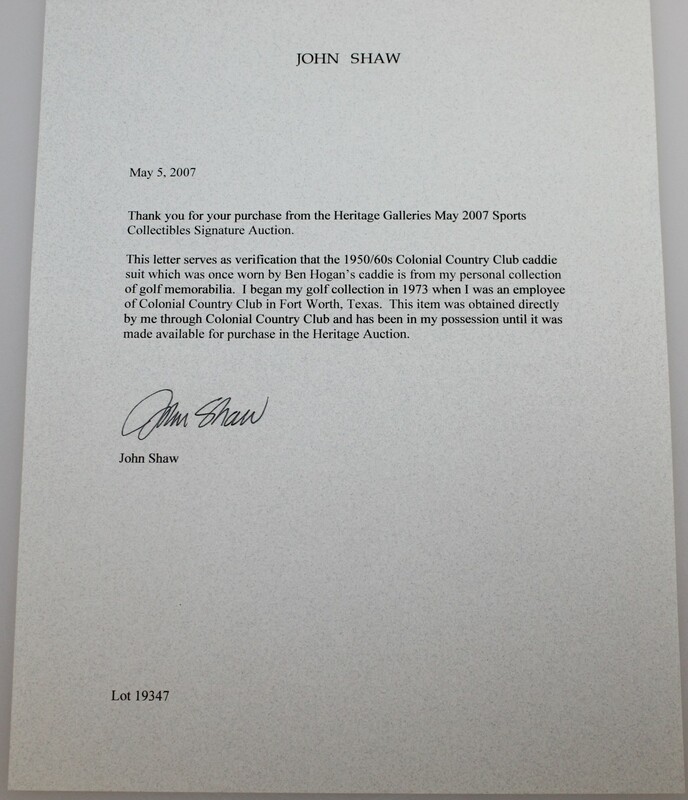 He won the Colonial Invitational an astounding 5 times, including his final PGA Tour win. 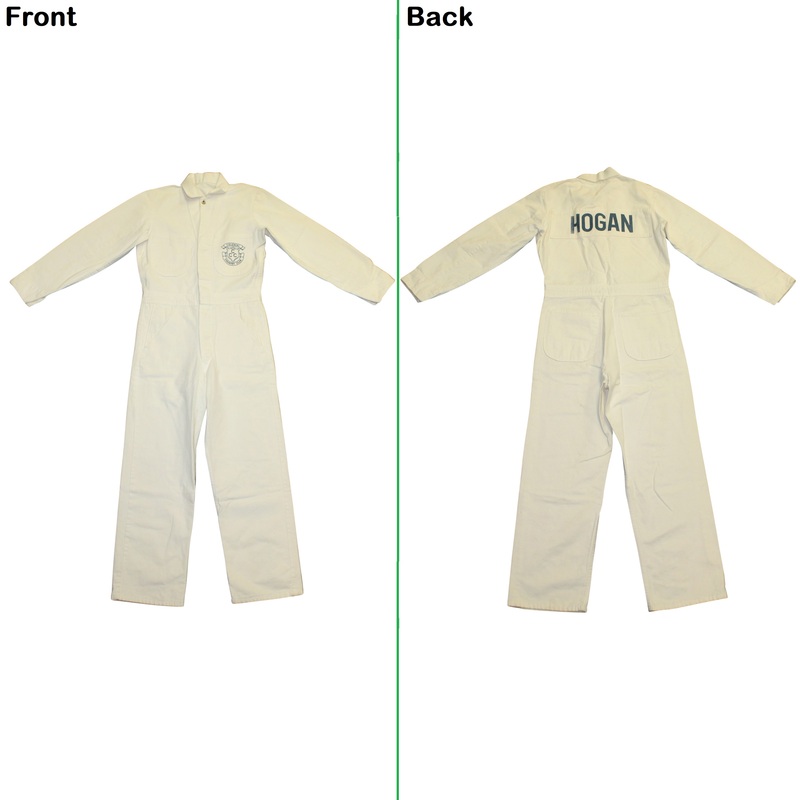 This caddie suit doesn't have a size listed, though would appear to be a large or extra-large size. 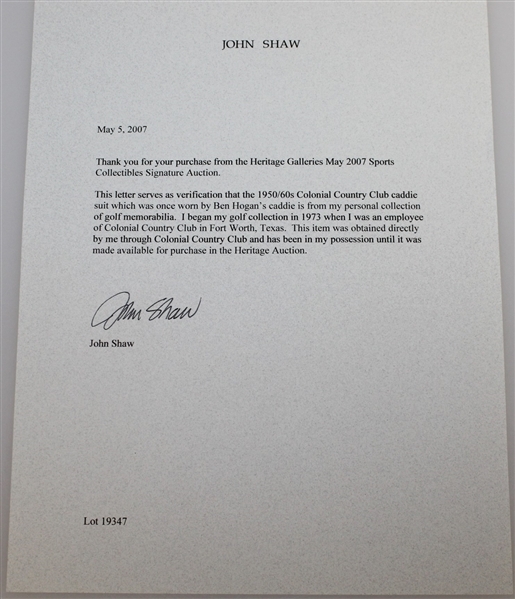 The letter from John Shaw, an employee of Colonial Country Club beginning in 1973 and original owner of the caddy suit before selling it 2007, states that he believes it to be from the 1950's/60's. 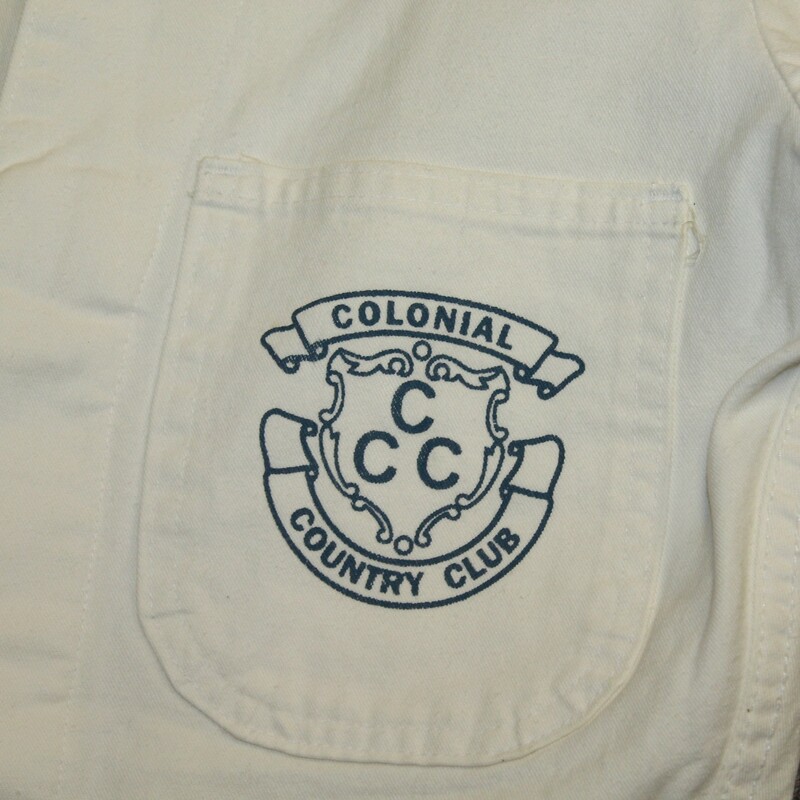 We do not believe this was used in a official 1950's/60's PGA event at Colonial Country Club.